Red Tiger re-work their Mystery Reels fruity with classic Megaways™ features, including cascading wins, mystery symbols, free spins and expanding multipliers. There are 117,649 ways to win and a prize potential of 10,000x. Play with an RTP of 96.18% from 20p to £100 per spin. Where Can I Play Mystery Reels Megaways™ Slot? For the many fans of Megaway™ slots its been a long wait for the first Red Tiger game featuring the famous BTG engine to arrive in UK casinos. And now that it’s here some may be a little disappointed to see that it’s a rather generic Megaways™ slot built on one of Red Tiger’s earlier game releases. With so many similar new titles on the market each month it’s going to take more than that to stand out from the crowd. But we’ll go easy on RTG as it’s their first release. Maybe it’ll take them some time to warm up! In short though, what you get here is all the features that make the original Bonanza Megaways™ such a classic – the mix of high variance, free spins, cascading wins, multipliers and a high-risk gambling engine built for edge of the seat thrills and spills. Six Reels? Check. Up to 7 rows per spin? Check. 117,649 paylines? Check. Top symbol (lucky 7) pays out 50x for six on a payline? Check. You know the drill. This is generic Megaways™ as it should be. What else? Well Mystery Reels for those who haven’t played it before is a classic fruity-style game, all lemons, melons, cherries, bells and stars. There is the usual cascading wins gameplay to create multiple win sequences from one spin, something that drives high values in the bonus round of course. We recommend playing with a cautious stake value, though for high rollers the value of any spin can be as high as £100! Look out for these which can land at random on any spin. When they do the symbols will clone themselves across the reels and reveal themselves to increase your chances of winning. This is Megaways™ so its ALL about the free spins bonus round. You’ll need to land three free spins symbols to kick off with 8 plays. It is possible to gamble for more on the spin of a wheel where you can take your total up to 12 or 20 spins (or more if you gamble again). However, lose the gamble and you’ll be left with just 4 spins. 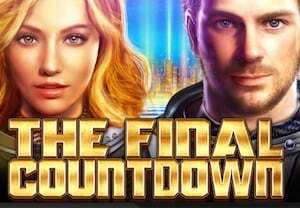 In this bonus round you can also re-trigger the free spins by landing three or more scatters, AND You benefit from a progressive multiplier that increases by 1x with each consecutive win in a cascading sequence. The Mystery Symbol can also pop up in the bonus round to increase your chances of creating winning lines. Mystery Reels is a classic Megaways™ slot – there is no new twist of added feature to make it stand out from the rest. But nonetheless we enjoyed the gameplay and the design is slick and fun. If you’re a fan of this type of slot play then we recommend giving it a spin.